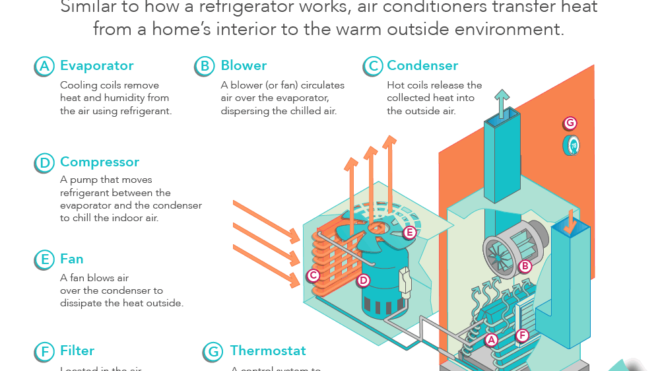 Your air conditioner, heat pump, or furnace probably uses a lot of energy. Heating and cooling makes up about half of the total energy use in a typical house. A question I get asked frequently is whether or not it’s OK to close vents in unused rooms to save money. The answer may surprise you. 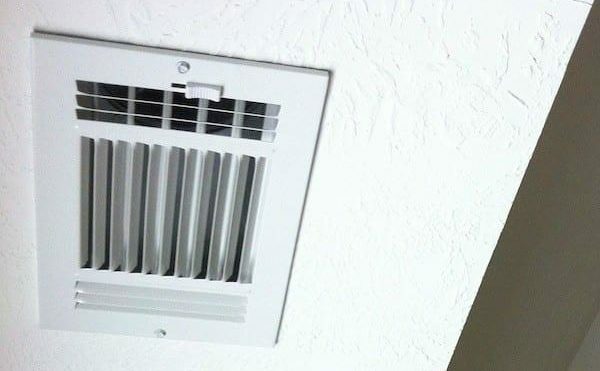 The photo above shows a typical vent for an ducted HVAC system (air conditioner, heat pump, or furnace). On the return side, you’ll typically see plain grilles, but on the supply side, where the conditioned air gets blown back into the house, most HVAC contractors install registers like the one above. It has a lever of some sort that allows you to adjust the louvers behind the grille. You’d think that since it’s adjustable, it must be OK to open or close it to suit your needs, right? The blower in your HVAC system is the heart of the air distribution. 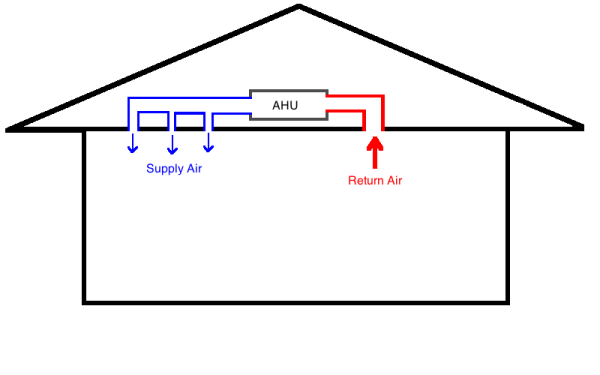 It pulls air from the house through the return ducts and then pushes it back into the house through the supply ducts. In high-efficiency systems, the blower is powered by an electronically commutated motor (ECM), which can adjust its speed to varying conditions. The majority of blowers, however, are of the permanent split capacitor (PSC) type, which is not a variable speed motor. In either case, the system is designed for the blower to push against some maximum pressure difference. That number is typically 0.5 inches of water column (iwc). If the filter gets too dirty or the supply ducts are too restrictive, the blower pushes against a higher pressure. In the case of the ECM, a high pressure will cause the motor will ramp up in an attempt to maintain proper air flow. An ECM is much more efficient than a PSC motor under ideal conditions, but as it ramps up to work against higher pressure, you lose that efficiency. You still get the air flow (maybe), but it costs you more. The PSC motor, on the other hand, will keep spinning but at lower speeds as the pressure goes up. Thus, higher pressure means less air flow, and, as we’ll see below, low air flow can cause some serious problems. 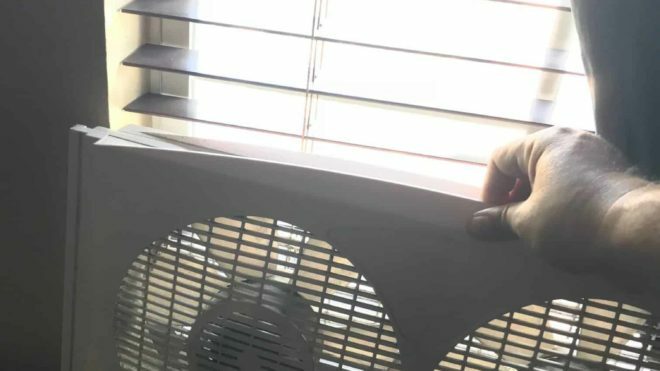 The important thing to remember here is that no matter which type of blower motor your HVAC system has, it’s not a good thing when it has to push against a higher pressure. In a well-designed system, the blower moves the air against a pressure that’s no greater than the maximum specified by the manufacturer (typically 0.5 iwc). The ideal system also has low duct leakage. The typical system, however, is far from ideal. Although most systems are rated for 0.5 iwc, the National Comfort Institute, which has measured static pressure and air flow in a lot of systems, finds the typical system to be pushing against a static pressure of about 0.8 iwc. Now we’re ready to address the question of closing vents. 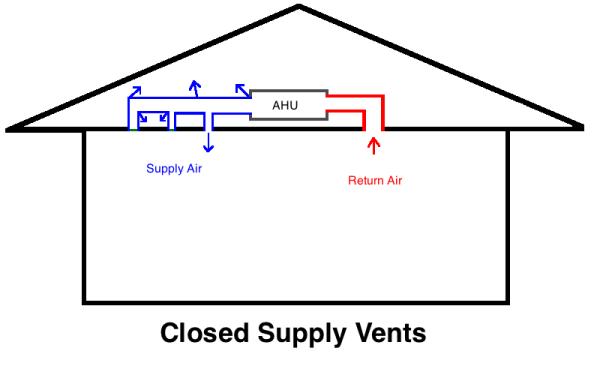 When you start closing vents in unused rooms, you make the duct system more restrictive. The pressure increases, and that means an ECM blower will ramp up to keep air flow up whereas a PSC blower will move less air. Most homes don’t have sealed ducts either, so the higher pressure in the duct system will mean more duct leakage, as shown below. The more vents you close, the higher the pressure in the duct system goes. The ECM blower will use more and more energy as you do so. The PSC blower will work less but not move as much conditioned air. In both cases, the duct leakage will increase further. 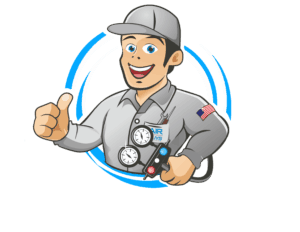 In addition to moving air, your air conditioner, heat pump, or furnace is also cooling or heating that air that flows through the system. The air passes over a coil or heat exchanger and either gives up heat or picks up heat. In a fixed-capacity system—and most are—the amount of heat the coil or heat exchanger is capable of absorbing or giving up is fixed. When the air flow goes down, less heat exchange happens with the air. As a result, the temperature of the coil or heat exchanger changes. If air flow is low, it’ll dump less heat into the coil in summer, and the coil will get colder. If there’s water vapor in the air, the condensation on the coil may start freezing. You might even end up with a block of ice, as shown in the photo below. And ice on the coil is really bad for air flow. It’s also bad for the compressor as not all of the refrigerant evaporates and liquid refrigerant makes its way back to the compressor. If you want to have to buy a new compressor, this is a good way to do it. Same thing if you have low air flow over a heat pump coil in winter. You could get a really hot coil, high refrigerant pressure, and a blown compressor or refrigerant leaks. Similarly, low air flow in a furnace can get the heat exchanger hot enough to cause cracks. Those cracks, then, allow exhaust gases to mix with your conditioned air. When that happens, your duct system can become a poison distribution system as it could be sending carbon monoxide into your home. You’re not guaranteed to get all the problems that apply to your system, but why take the chance. 1. Is your home warm? This is an obvious question, but the most important one! 2. Do you have uneven temperatures? You may have one floor in your home that’s too hot, or too cold. Maybe a bedroom, office, or basement. 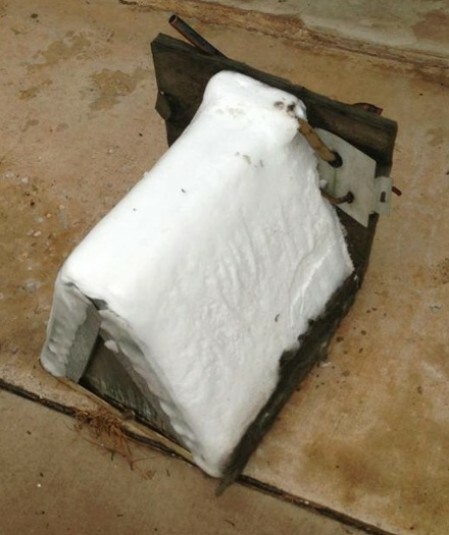 These can be signs your heater isn’t working right, your insulation is faulty, or maybe you are in need of a service. 3. 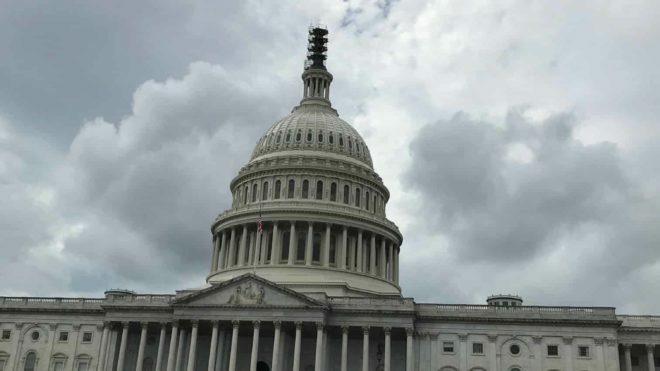 Are your bills extremely high? Your bills are going to go up when it gets cold out, but are they higher than normal? A look at your energy bill could show you how much energy you are using compared to your neighbors. 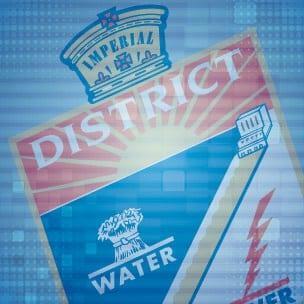 If your bills are extremely high, it could be a sign your system is running inefficiently. The more it works to do the job, the higher your bills are going to be. 4. Do you hear unusual noises? If you are hearing gurgling or clanging coming from your heating system, this could be the sign of a problem. 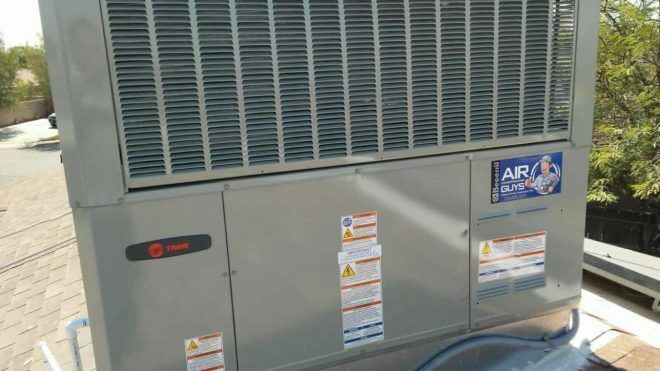 It’s best to keep an eye on your system, or call a professional to come look at it. 5. Is your system constantly cycling (turning off and on)? If your system is constantly turning off and on, it could mean there’s an issue. Either the thermostat isn’t reading the temperature right, or your system is having problems running properly. If you are seeing any of these issues in your home, you should contact a professional. There are still several cold months ahead, and you want to keep your home warm, and bills under control. 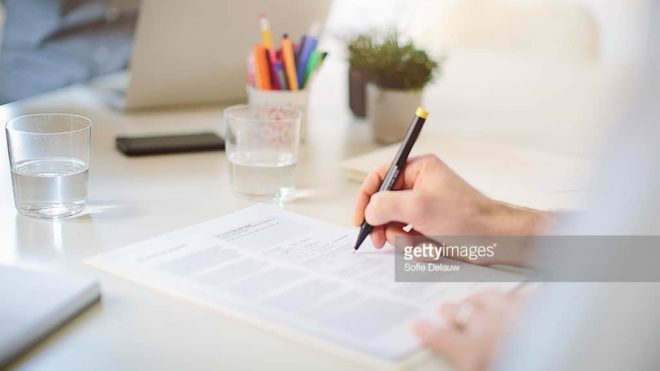 If you have any questions at all about your heating, or any aspect of your home comfort, please feel free to give us a call at (760) 352-2244, or email me at help@acguyscalifornia.com!